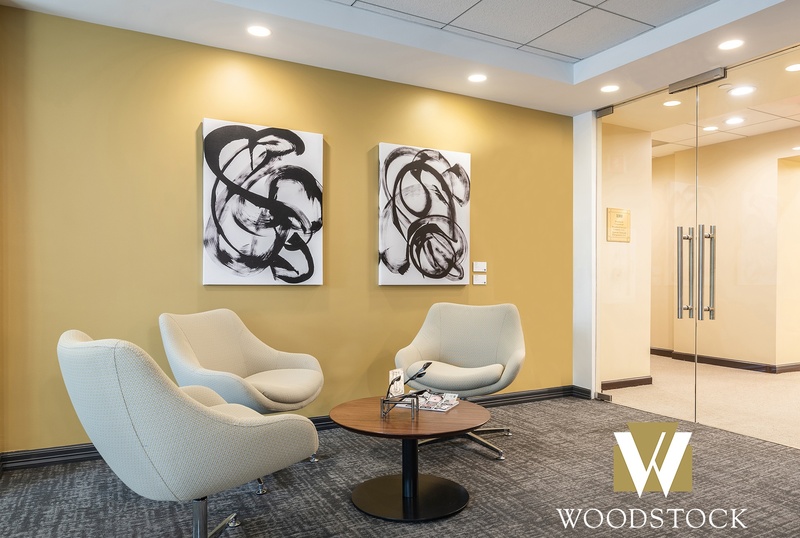 TurningArt recently collaborated with JLL and Woodstock Corporation, a Boston-based private wealth management firm, to help them create a more approachable and modern feeling office for both Woodstock’s employees and clients. Woodstock prides itself on being dedicated to exceeding their client's expectations and providing unparalleled service. As a company that understands and appreciates the value of art, Woodstock's team now has space they are proud to show their clients. "When I was first introduced to Woodstock, they were working with JLL's project management team to relocate and outfit their new space. Our goal was to use the artwork to blend the traditional design elements of their office with a more modern aesthetic. To meet this vision, I selected a group of artists with works that were traditional in subject matter, but experimental and contemporary in execution and style. It is always so interesting when a client has an intention for their artwork that I can build upon. As a preferred vendor, working with JLL to help their clients is always enjoyable; the Woodstock team was so open minded and communicative, it made made for a really smooth and collaborative process." "I can't thank TurningArt enough for their professionalism, enthusiasm, art knowledge and ability to understand my client's need. The experience was remarkable. The team was a true delight to work with, and I look forward to working with TurningArt on future projects!" To see more of TurningArt's work on-site, head over to our installation gallery. To learn more about our programs, set up a free consultation with an Art Advisor here! Click below to schedule a free consultation with one of our experienced Art Advisors.